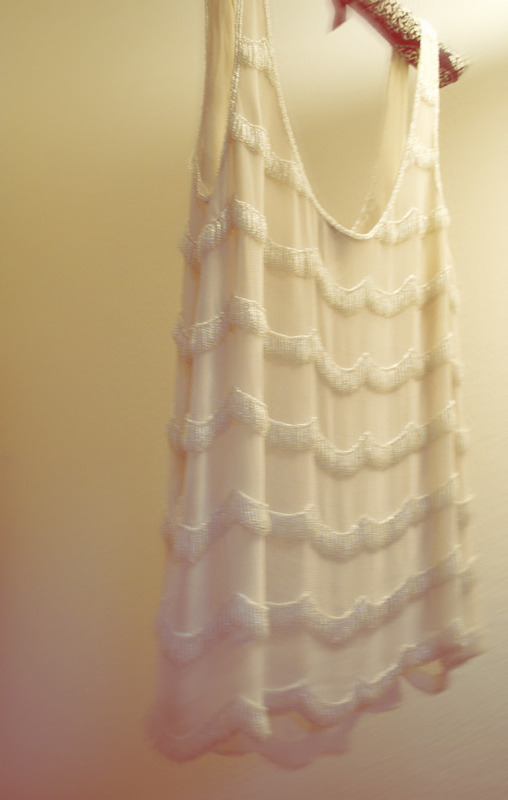 Wearing a chiffon tank embroidered with hand sewn beading. 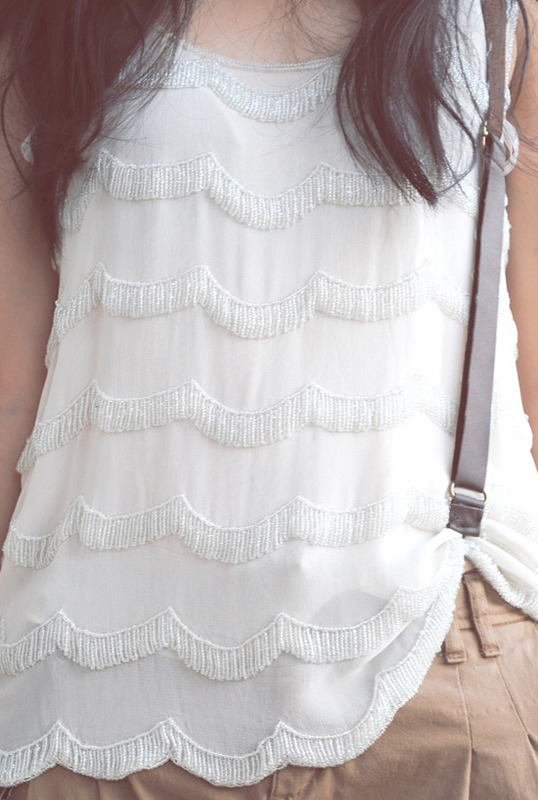 I love wearing this top for the summer! The scalloped beads are cold to the touch and give the top a slight weight that’s fun to wear.